With Sanijet Technologies, innovative hydromassage jets, you can create a cleaner, quieter, more relaxing bathing experience – no pipes, bulky pumps, or air channels required. 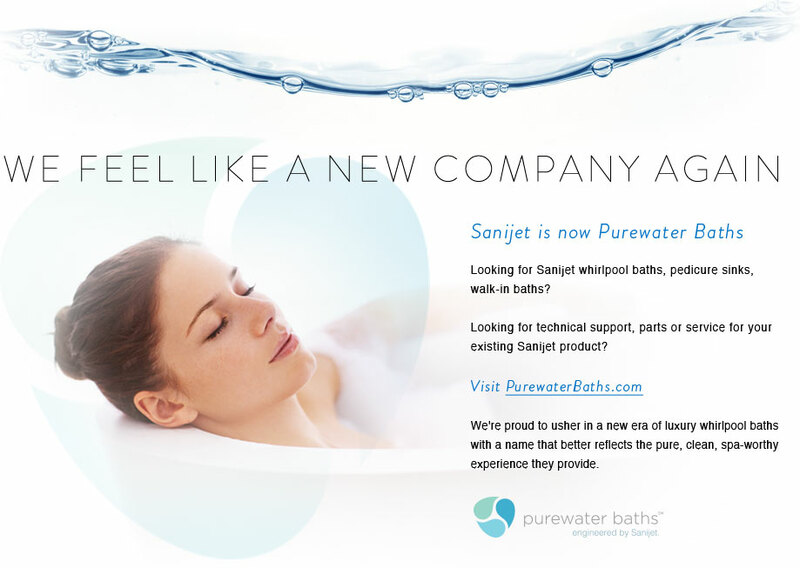 Put the benefits of Sanijet Pipeless™ Technology to work for your whirlpool baths, walk-in baths or pedicure sinks today. 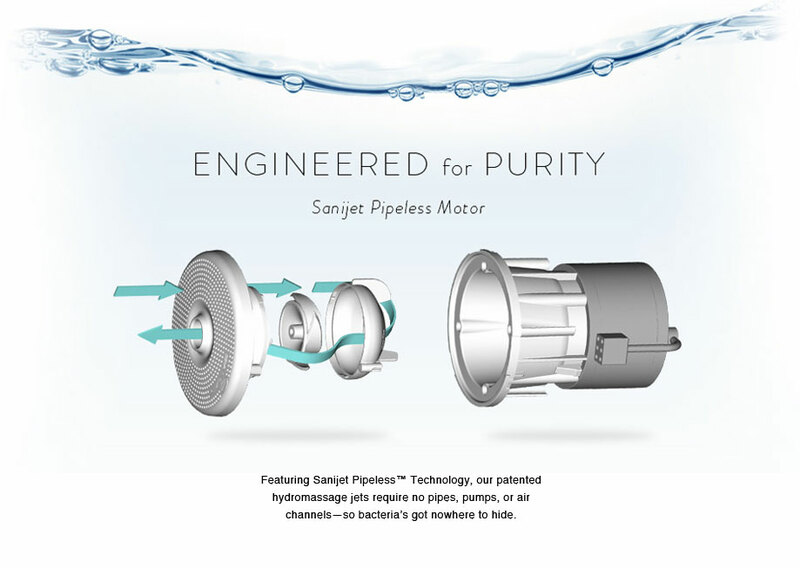 To purchase or inquire about Pipeless™ whirlpool jets from Sanijet Technologies, please contact us directly by clicking below. Looking for Sanijet baths? Please visit our new site, PureWaterBaths.com, to shop a full line of whirlpool baths, walk-in baths and pedicure sinks or to purchase parts and accessories. Copyright © 2012 SANIJET. All Rights Reserved.